Today’s youth are increasingly faced with myriad social and environmental systemic inequities—including under resourced schools and communities—that manifest in poor behavioral, educational, and health outcomes. It is disheartening to think that homicide is the leading cause of death for youth ages 15-24. This staggering statistic is a powerful reflection of school and broader community violence, whereby 30% of youth nationally report being in at least one physical altercation within the last year (CDC, 2012). As disturbing as these facts are, low-income communities of color are often hardest hit, as evidenced by overwhelmingly poor youth outcomes. Research has revealed that 50% of Black students report being expelled or suspended from high school nationally (Gregory, Skiba, & Noguera, 2010). It is equally concerning to consider health outcomes. For example, over 39% of Black and Latino youth are overweight or obese (Ogden et al., 2012). Yet, these outcomes are not necessarily reflections of individual issues. There are clear environmental indicators of poor youth outcomes. One such indicator related to childhood obesity and positive youth development concerns access to parks and recreational space. However, greenspace is inequitably distributed in Los Angeles, where low-income youth of color only have access to a fraction of the recreational resources found in more affluent communities (Wolch, Wilson, & Fehrenbach, 2005). These social and environmental inequities are, in fact, part of a larger, dynamically negotiated ecological system that affects youth development (Bronfenbrenner, 1977). CURes aims to work with community stakeholders to promote safe, healthy, and resilient communities. As such, the Restorative Justice Program, which predominantly focuses on schools, mirrors this mission for youth. By focusing on the contextual factors that youth face in their everyday lives, such as those mentioned above, the Restorative Justice Program seeks to engage youth to strengthen relationships between students and faculty using our Restorative Practices (RP) philosophy. In conjunction with this, we employ community-based participatory action research (CBPAR) to strengthen youth understandings of social and environmental issues. Yes, youth are very well aware social, political, and environmental issues. Yet, it is quite clear that awareness does little in terms of empowering young people to question the root causes of such issues and take action to address them. As social and environmental indicators—e.g., lack of safe and accessible parks and schools—ominously coexist with broader poor youth outcomes, CURes seeks to provide RP and CBPAR resources for educators to empower youth to study such social and environmental inequities in collaboration with academics, professionals, and broader school practitioners, providing a platform to amplify student voice and organize for social action. In a recent example of this, we collaboratively developed a research project with high school students at one of our partner sites concerning park accessibility, where students worked with CURes researchers, LMU undergraduate students, and school faculty. The students made great progress in their research, uncovering the connections between poor youth behavioral, educational, and health outcomes and greenspace inequities in their neighborhoods. Furthermore, we found that the project yielded immediate youth outcomes. The students emerged from the program with a sense of empowerment, poised to advocate for positive change in their neighborhoods. Working side by side with a cohort of academics, undergraduate research assistants, and school staff, the students were immersed in an environment of positive youth development, strengthening relationships amongst peers and school staff. It was a social space of interaction, collaboration, and action amongst a socially, culturally, and ethnically diverse group working toward a common end. We believe that such powerful forms of engagement are a pathway to promoting resilient youth and communities. It is a method for addressing the systemic inequities that are all too prevalent in low-income communities of color, while simultaneously providing a space for youth to develop the skills, interests, and capacities to become civically engaged citizens. As such, it behooves all of us—educators, academics, community members, policy-makers, etc.—to provide pathways to youth empowerment. By walking this path together, perhaps we can begin to balance the scales of justice. About the Author: Dr. Jason A. Douglas, Director of Restorative Justice at CURes, is an Environmental Psychologist who conducts research with underserved communities to develop an understanding of environmental issues at the local, state, national, and international levels. He strives to use research to educate and empower individuals exposed to social, economic, and environmental disparities. Thorough the lens of environmental psychology, Dr. Douglas’ research examines people’s affective affiliation with nature as it is produced and reproduced in the context of environmental justice communities. He has over 8 years of experience in program evaluation and community based participatory action research. 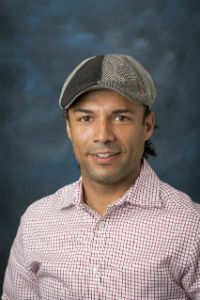 He has worked on a wide range of projects concerning the political ecology of participatory conservation in Jamaica, environmental justice and education in underserved urban communities, public policy and advocacy efforts to address root causes of childhood obesity, and hospital systems improvements related to homeless populations. He has designed and implemented community-based participatory action research projects utilizing a mixed-methods approach including, structured and semi-structured interviews, focus groups, surveys, participant observation, and broader ethnographic methods. Dr. Douglas is also on the Board of Directors of Communities for a Better Environment, a community-based environmental justice organization based in Los Angeles and Oakland, California.